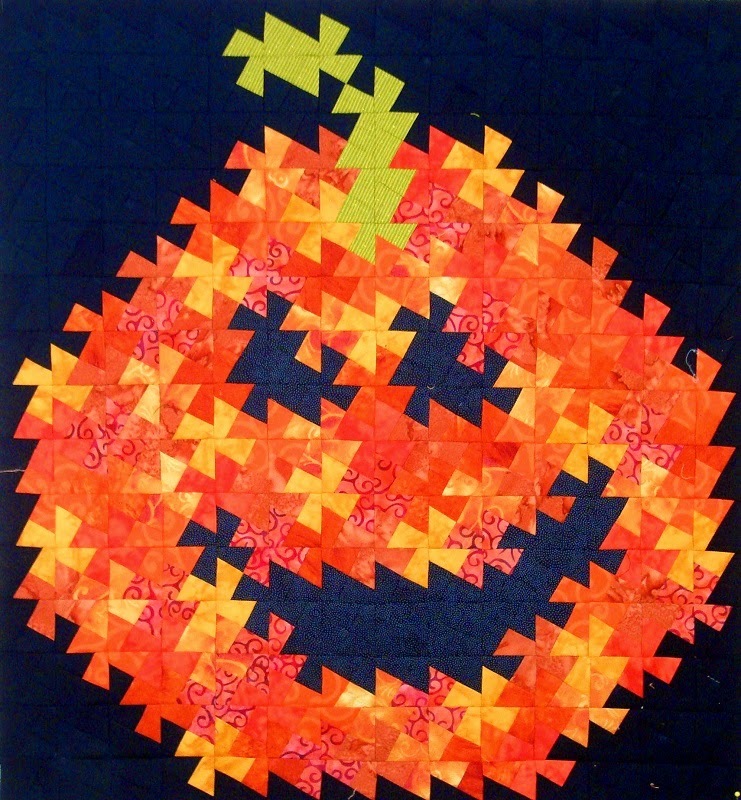 Kerry's Quilting: Twelve in Fourteen. Here is my UFO Finish for September! It is called Twister Jack and uses the twister ruler. I purchased this in Bozeman Montana, while on a road trip last fall to Yellowstone National Park. Not sure if I am a big fan of this process, as you have to sew together squares, just to cut them up and sew them back together again!! It's like making a quilt twice, but I do really like the result! Check out all the other UFO finishes at 52 quilts in 52 weeks! Like your Twister Jack. The double sewing technique is not for me. Certainly are some very cute twister designs. Congratulations on your finish. I know a little girl that will love this Jack Twister. it is really cute.